• Light Blue’s optional password protection feature now works on iOS, and if you have a device that supports Face ID or Touch ID you can use that to quickly and securely log into the app. 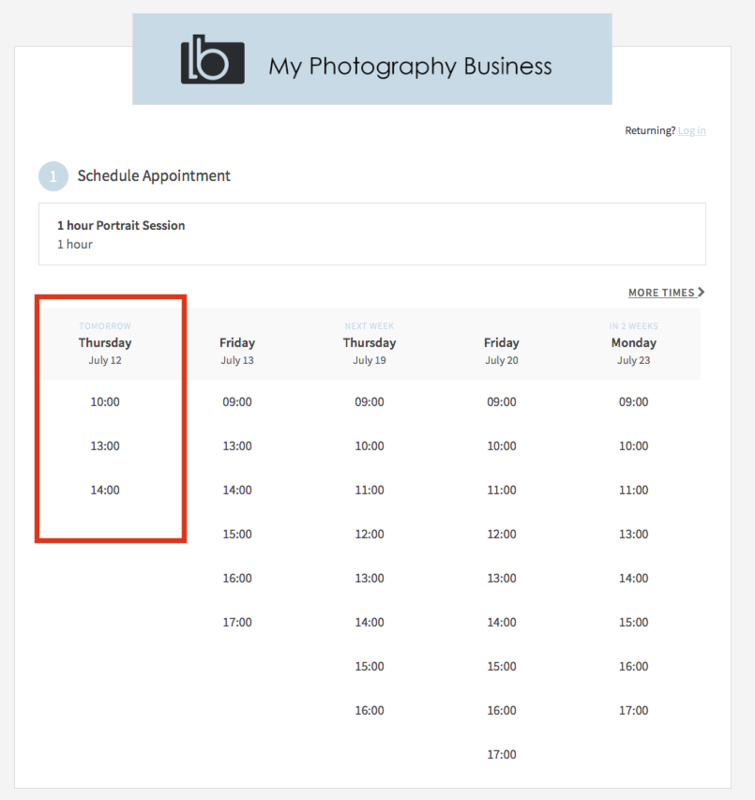 • The app’s built-in calendar can now display events from the Calendars app, to make it easier to schedule your shoots and appointments around your personal commitments. 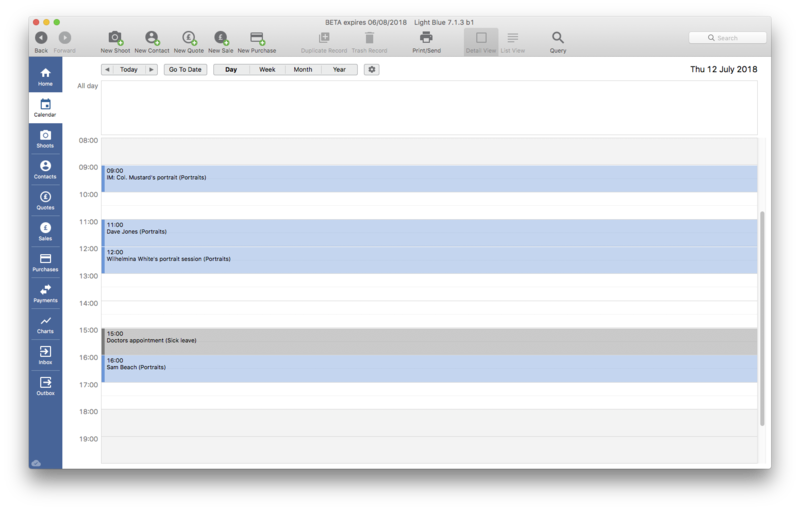 • Incoming emails and text messages are now included in the Inbox, and you can use them to create new enquiries. • The Inbox can now display items that are more than 28 days old. • You can now trash and restore records from the main sections in the iOS app, just like you can in Light Blue 7. You can access the trash via the Settings screen. • When you create an email from our iOS app, we now automatically set the BCC to the unique ID for the record that you created it from. That means that – even though the email isn’t sent via Light Blue itself – you’ll get a copy of it in that record’s Activity panel. • Light Blue 7’s shoot tags now appear in the iOS app. 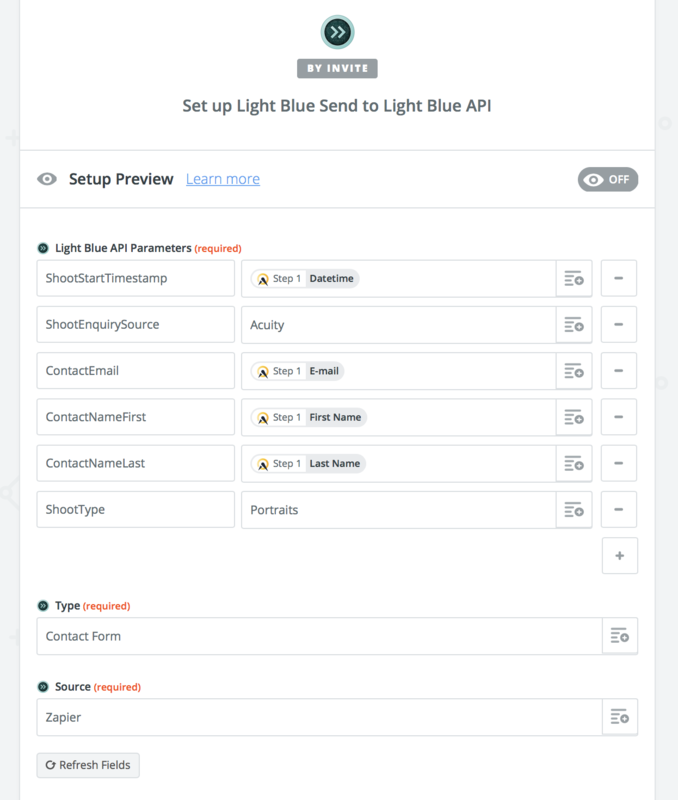 • Added support for Light Blue 7’s new custom field types. • Add support for the new VAT number fields that were added in Light Blue 7. • The new mailing list opt-in detail fields that we added in Light Blue 7.1 now appear in the iOS app, and are set when you import a form that contains a mailing list opt-in checkbox. • Added support for Light Blue 7’s new Sale and Quote fields. • If you’re in the middle of editing a field, its value is automatically saved when you switch to another app. • Shoot and Contact references are now displayed, if you’ve turned that option on via the desktop app. • You can now create a Sale from a Quote. • When you change the status or type of an appointment, the app will ask you if you want to add / remove workflows. • Items on Sale, Quote, Purchase, and Payment records can now be reordered. • You can now reorder shoot requests within a group. • Your localised versions of “wedding”, “bride”, and “groom” will now trigger special wedding-related behaviour, just like they do in Light Blue 7. • Notes in Shoot, Contact, etc, records display more of their text without you having to drill down into them. • Tasks are now sorted alphabetically within a date & linked record, to match their sorting in Light Blue 7. • When you add a new contact to a shoot, you’re now asked if you want to make that contact part of a group. • When you import a form that contains contacts, new contacts are no longer automatically grouped. • When you cancel a shoot, the app now offers to cancel any future appointments for that shoot rather than deleting them. • Fixed a bug where deleting a session from the ‘Current Events’ screen would only delete that particular session, rather than moving the shoot to the trash. 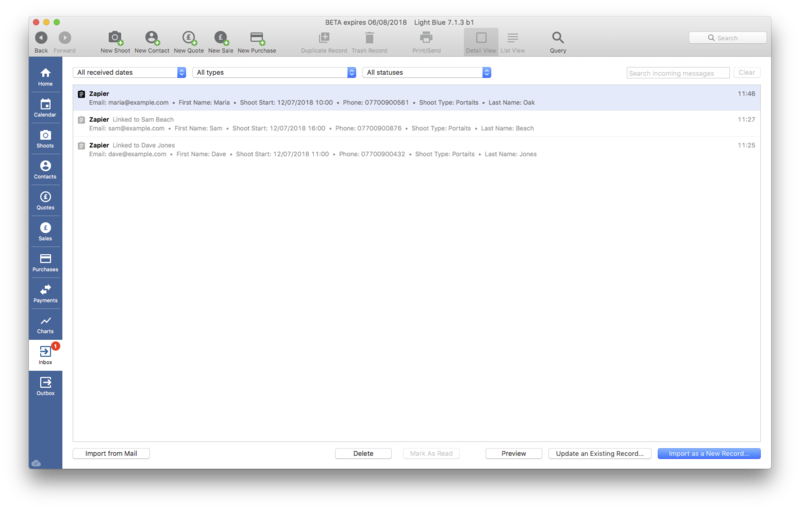 • Timezone handling has been improved for items displayed in the Inbox. • Fixed a bug that made previewing contracts not display properly. • Fixed a problem where new shoot requests added via the app didn’t have a sort order assigned to them, so reordering them could be unpredictable. • Added better support for the iPhone X screen, and implemented iOS 11’s large titles in list views. The Association of Photographers has always been an excellent source of information, advice, and support for professional photographers. I remember how Helen and I devoured their excellent Beyond The Lens when we started our photography businesses, and the AOP have continued to be at the forefront of representing photographers on a variety of issues. If you’re interested in finding out more about what the AOP can do to help you, take a look at their website. 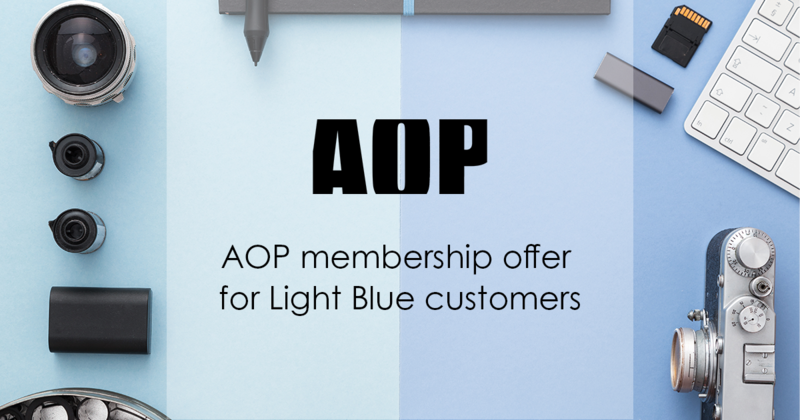 We’re delighted to announce that the AOP are offering Light Blue customers a 10% discount on new “Photographer” and “Associate” memberships until the end of July. Just quote “LIGHTBLUE” when applying to receive your discount.